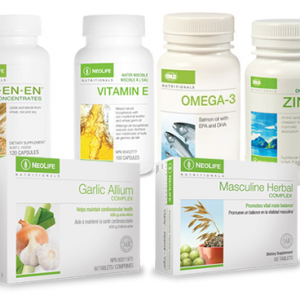 View cart “GNLD Bundle Pack Products For Male Fertility” has been added to your cart. 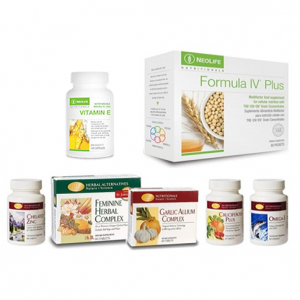 FORMULA IV PLUS in 30Sachets; a unique formula with vitamins, minerals, proteins, lipids, sterol plus enzymes. 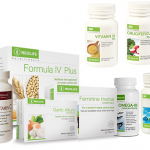 Helps in eliminating any abnormal formation of fibrous tissues. and bacteria diseases affecting the womb and even fertility. CHELATED ZINC in 100Tablets; helps to repair damaged and or worn-out tissues and balances your hormones. VITAMIN C SUSTAINED RELEASE in 100Tablets; helps to reduce bleeding and to strengthen the blood vessels. VITAMIN B. COMPLEX in 60Tablets; very important and vital for every woman with Fibroid as it helps the Liver to metabolize excess estrogen that is a main contributory factor for Fibroids. CRUCIFEROUS PLUS in 60Tablets; it helps to regulate the production of estrogen, thus prevents Fibroid tumors as well as Breast Cancer. Aid in the production of necessary enzymes to break down and shrink off these tumors. OMEGA-3 Salmon Oil Plus 90 capsules; helps to decrease the menstrual bleeding and inflammations. FEMININE HERBAL COMPLEX in 60Tablets; hormone balancer for women at different stages of life. Combines effectively with these other supplements to regulate the cyclical needs and relieves cramps and bloating. Delays menopause and heaviness in the breasts and general ache and pains. 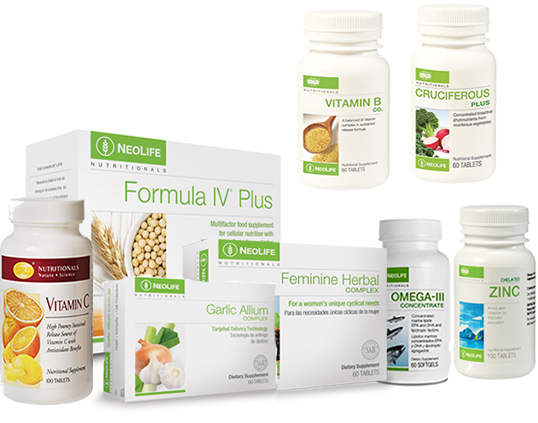 DISCLAIMER: *These GNLD Products For treating and Melting Fibroids in women are not to replace your doctor’s prescriptions but to complements the efficiency of the drugs to aid up the cure. It ensures remove tumors as well those in the breast to prevent breast cancer from occurring. 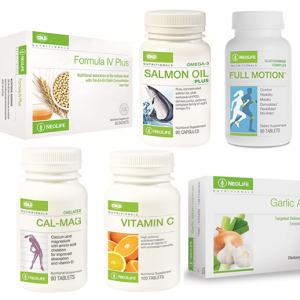 Copyright © 2019 Evergreen Health Care Supplements | Theme: E-Commerce by Catch Themes.